So we ended up doing something rather complicated. 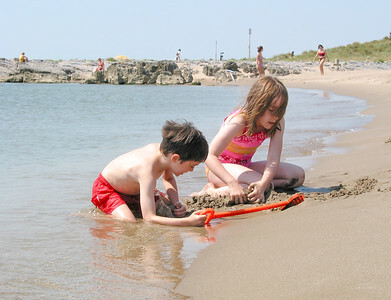 First we all traveled together to the Mediterranean coast near Narbonne, to where my grandmother spent her summers. This involved flying from Boston to Paris and then to Toulouse, and then driving a couple of hours South. 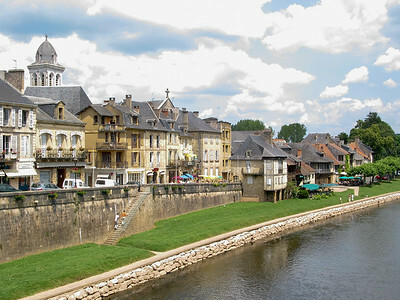 After a few days, I drove Chantal to Narbonne and she got on the train to Sarlat, in Perigord, the Dordogne area, to meet up with her family. A couple days later, I drove up with the kids to meet them, and after a few days there, we all returned home. - St. Pierre sur Mer, the little beach town where my grandmother spent her summers. 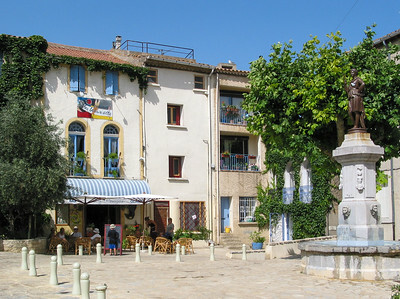 - Bages, a cute little hill village nearby. 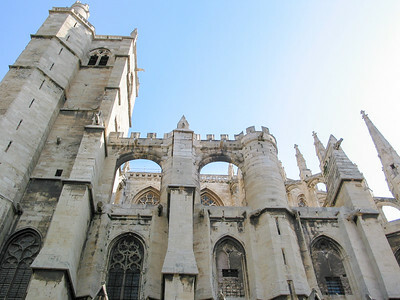 - Narbonne, the nearest big town, with a small medieval core. 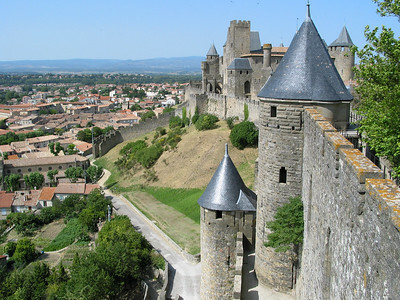 - Carcassonne, a famous walled medieval town. 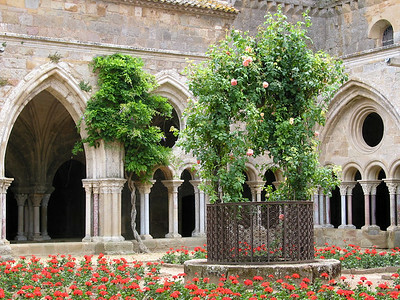 - The Abbey of Fontfroide, a well-restored Cistercian abbey dating from the 12th century. - The village and Abbey of Lagrasse, a partially-restored Benedictine abbey founded in the 8th century, allegedly by Charlemagne. 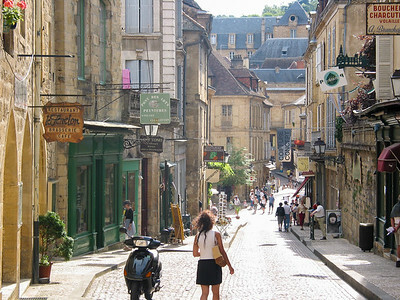 - The charming town of Sarlat, where we stayed. - The area around Lascaux, though the cave itself and its paintings, or rather the re-construction, doesn't lend itself to pictures. 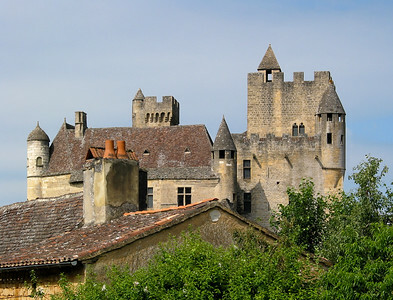 - The 12th-century castle of Beynac, on a 150 meter cliff over the Dordogne. 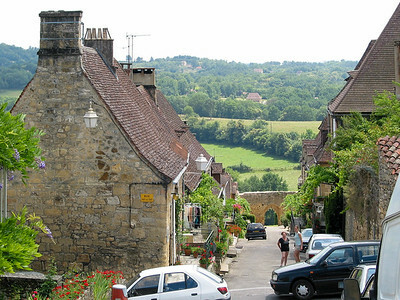 - Domme, a bastide or medieval fortified village on another impressive cliff overlooking the Dordogne. 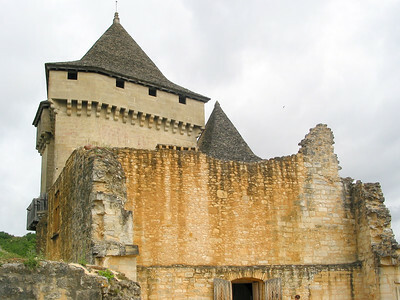 - The castle of Castelnaud, historic rival of Beynac. 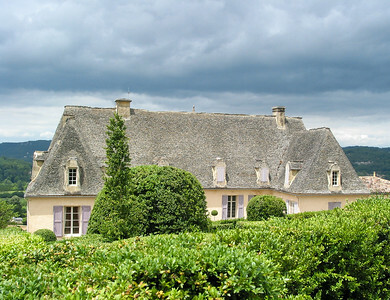 - Marqueyssac, a chateau with wonderful gardens, and again terrific views of the Dordogne and the castles mentioned above. 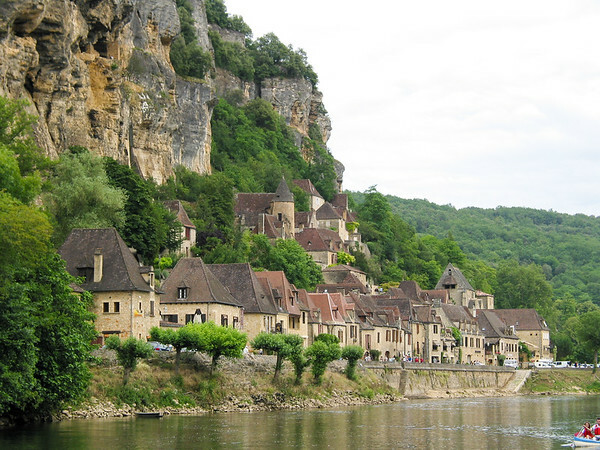 - La Roque Gageac, a tiny village hidden under cliffs on the Dordogne. And a boat trip! We managed to put over 1300 km on our rental car, mostly driving to and from the airport in Toulouse. The little 2.0 liter turbo-diesel Opel Astra wagon did very well, and I observed again that the French pay little attention to speed limits. Driving in France is fun, but challenging and demanding, whether at high speed on the Autoroutes, or winding around the small country roads. Even Boston driving seems pretty staid afterwards!